When you work out in the gym every day with that huge commitment and the results come slower than you’d like, it’s a huge bummer. After all, you’re eating right and burning lots of energy so what else could you do to get the weight to drop off? Turns out it may be cutting out that morning cup of coffee. I know. I can almost hear you screaming: coffee is loaded with caffeine that helps you burn fat, genius! It’s true, I know, but even more important to consider is that coffee has organic acids that raise your blood sugar and raise insulin, which puts a lock on your body fat. So what do I suggest? Switch to green tea. Black tea, oolong tea, and green tea come from the same Camellia sinensis plant but green tea leaves are not fermented before steaming and drying. You’ll get your morning (or afternoon) caffeine, and you will drop insulin levels and therefore, body fat. How does it work? Researchers substances found in green tea known as catechins may trigger weight loss by stimulating the body to burn calories and decreasing body fat. The International Journal of Obesity states that green tea contains polyphenols which causes your body to produce heat that burns off your body fat and the University of Chicago's Tang Center for Herbal Medical Research shows green tea reduces the fat deposits under your skin and the fat in your belly area. Best of all, these substances have also been shown to have anti-inflammatory and anticancer properties, too so you can stay healthy while you get rid of excess fat. Obviously, you’ll need more than just one cup in the morning to get these awesome benefits. The experts suggest drinking 3-5 cups per day and you should notice effects within a few weeks. Drinking without sweetener is best. 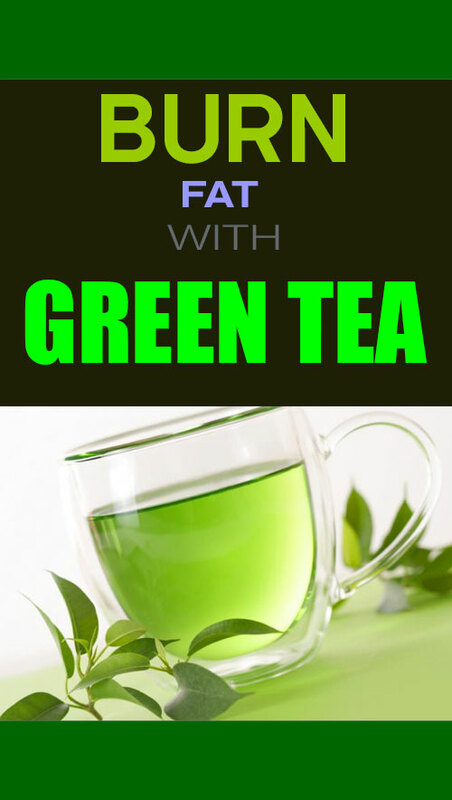 Tags: Burn Fat, Green Tea, Home Remedy, Health Tips.